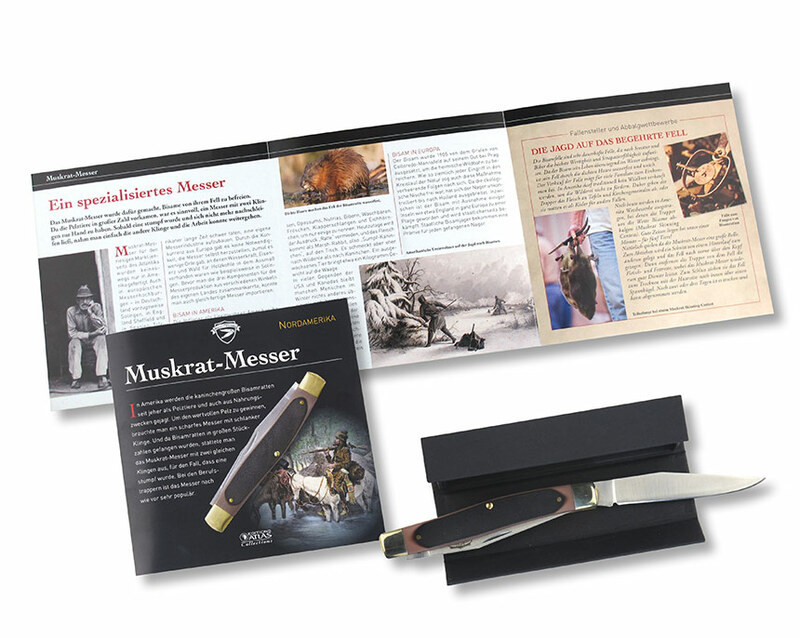 Documentation accompanying a collection of accurately reproduced replicas of famous pocket knives, from the Corsican herder’s knife (Vendetta knife) and the North American Muskrat knife to the “Hippekniep” knife from the German Bergisches Land region. Text and design by AFR. Lavishly illustrated magazine accompanying a series of accurately reproduced collector’s models of famous ships. 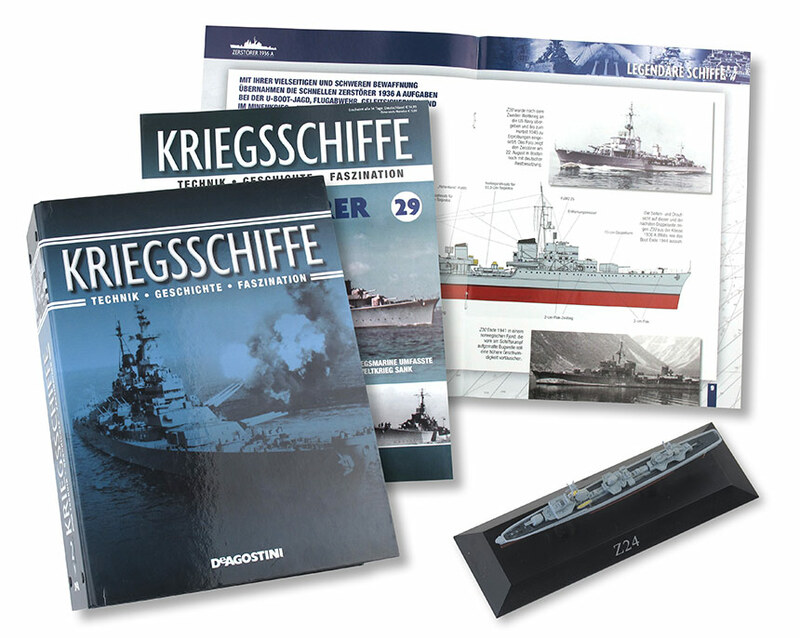 Focuses on German navy warships from World War I to the present day. Compilation of pull-out magazines to collect with ring folder on the subject of stamps and regional geography. From the Italian original. 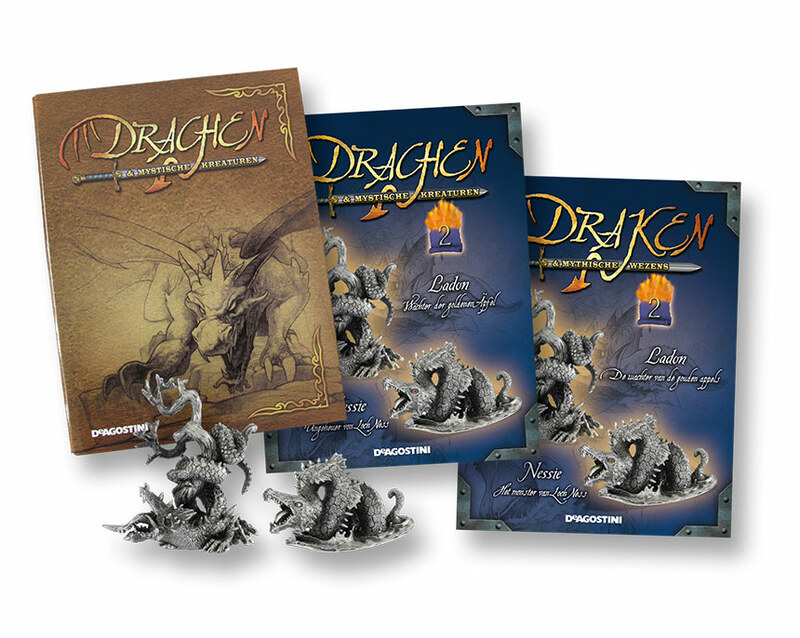 German and Dutch magazines to accompany high quality completely metallic toy dragons. Destined for older children, youths and adults. Adaptations of the French collectors series DRAGONS ET CREATURES FANTASTIQUES. 60 issues. 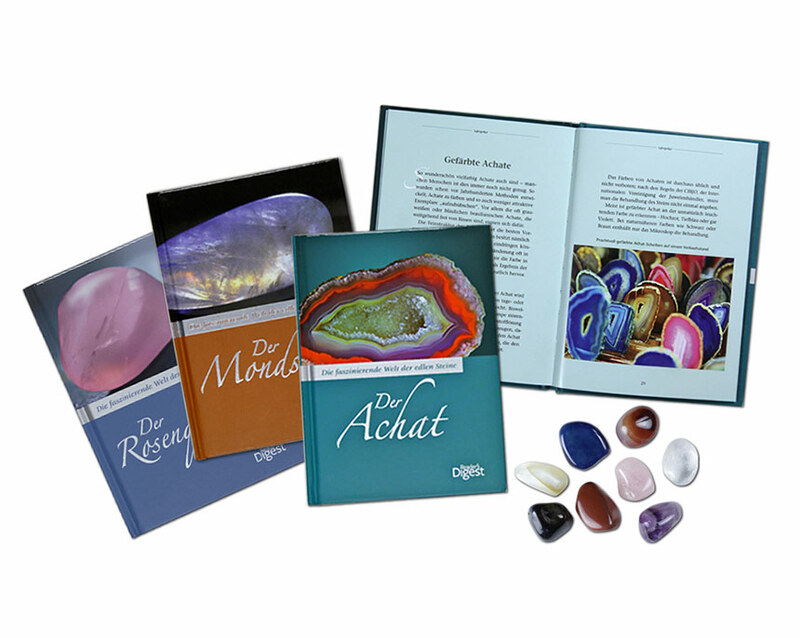 An intricately designed series of booklets with mineralogical, historical and anecdotal content that shows the establishment of a collection of gemstones (semiprecious stones). 18 issues. Compilation of pull-out magazines to collect with ring folder. 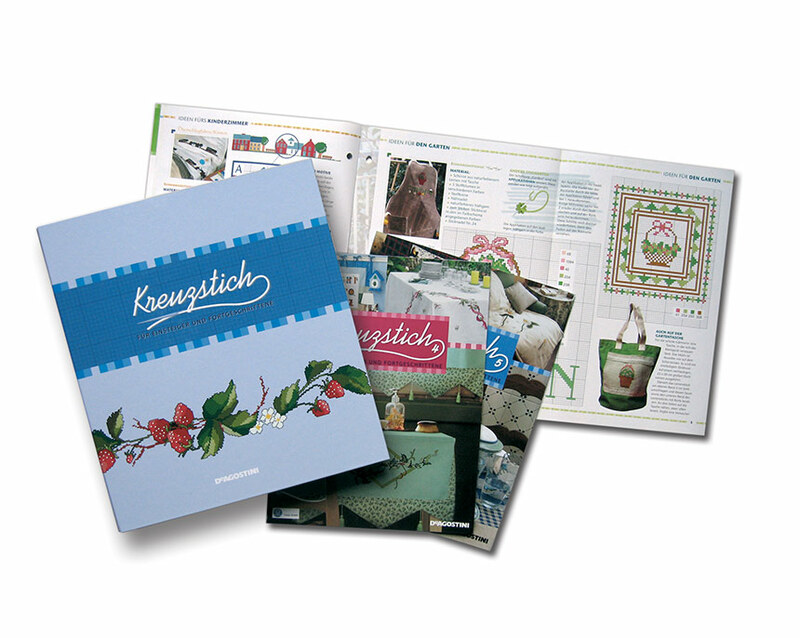 Plus: a 40-page beginner's cross-stitching course and a 40-page tutorial for advanced readers. Adopted from the Dutch and Italian versions. 6 issues. 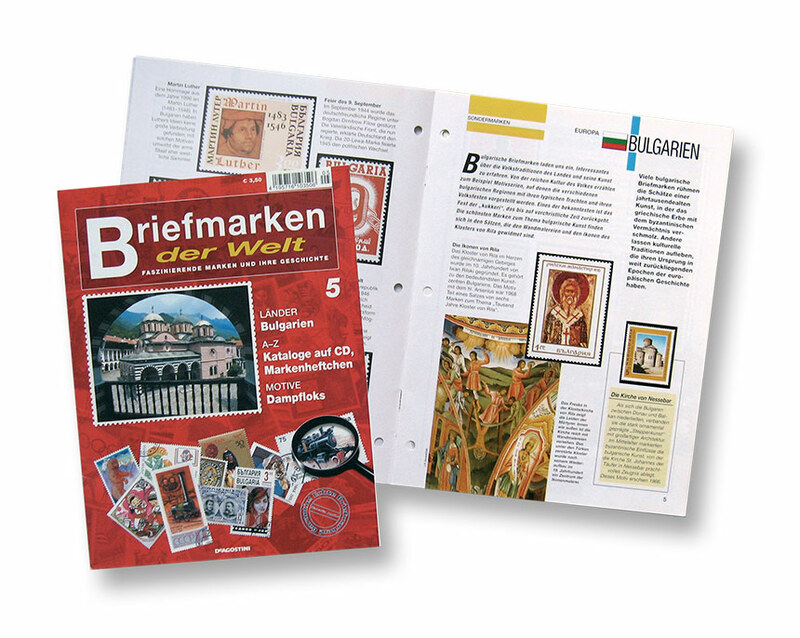 Series of magazines with collection binder. 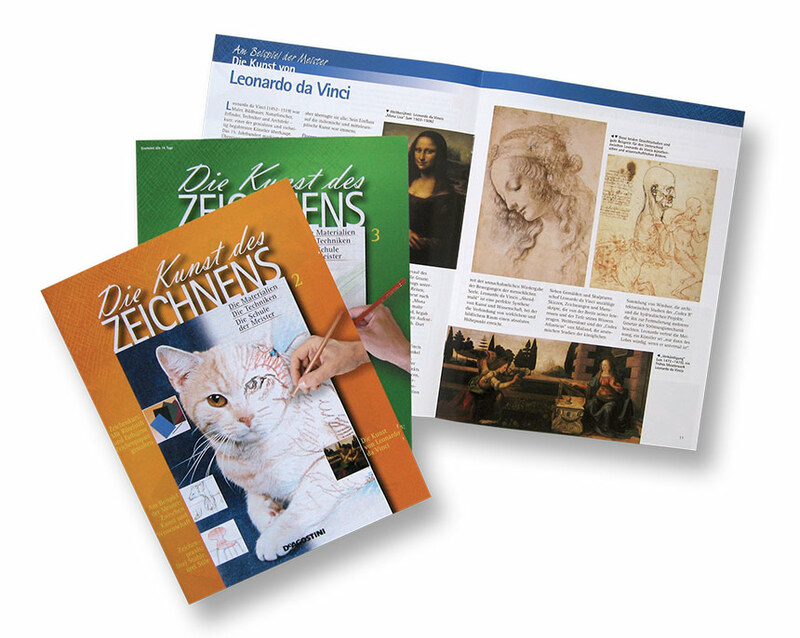 Step-by-step instructions on drawing, complemented by historical art articles. Adopted and adapted from the Italian version. 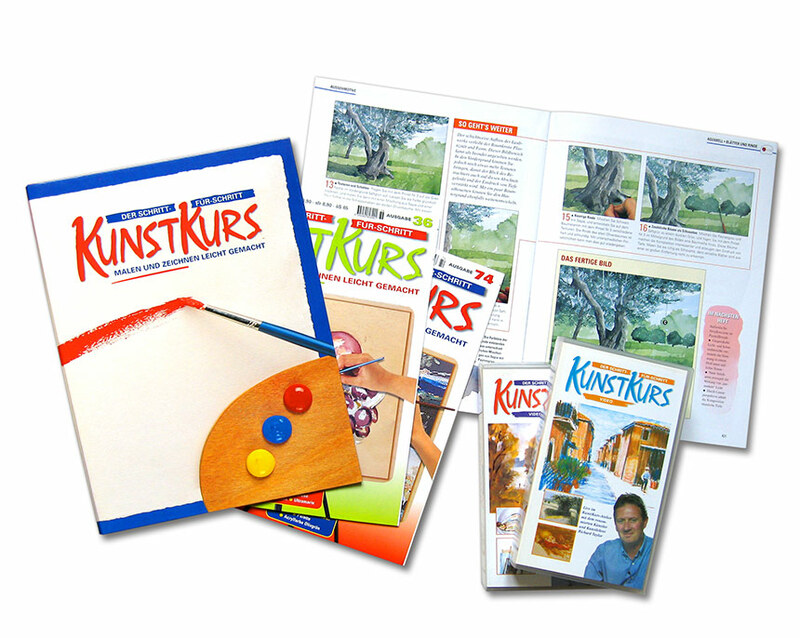 Comprehensive 78 edition series of magazines with 13 videos on drawing and painting. Adapted from the English version with lip-sync videos.